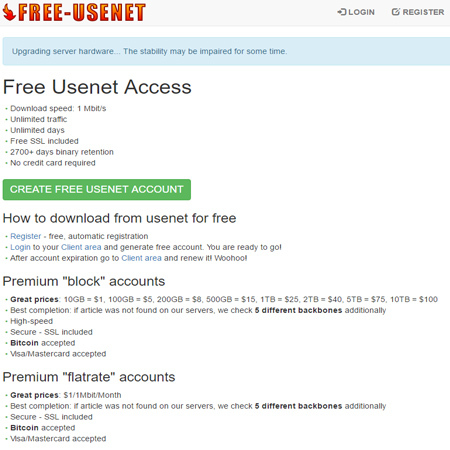 Eweka Internet Services offers you the fastest and most reliable access to Usenet. 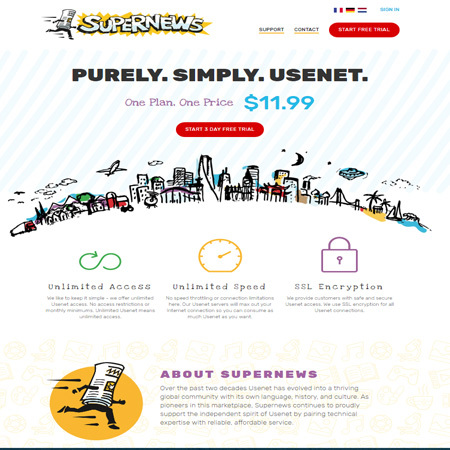 On our Usenet platform you get the highest possible quality of newsgroups and we currently connect you to over 125.000 newsgroups. No matter which account type you choose, you will always have the option to switch between standard and high speed. You can change this yourself in My Eweka. 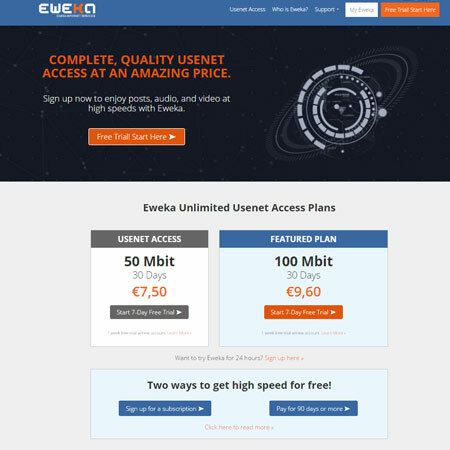 Eweka offers a FREE trial of their services. Please be sure to check the terms and conditions of any trials.